Washington continues using Islamic State and other takfiri terrorists as US proxy foot soldiers, waging naked aggression on Syria, largely affecting millions of civilians, creating a human flood of internally and externally displaced people along with mass slaughter and destruction. Obama, John Kerry and other US officials firmly oppose Russia legitimately aiding its Syrian ally in need – providing political support as well as military weapons, munitions, equipment and technology. The grand deception about Russian forces and warplanes operating in Syria persists. It’s one of many Big Lies circulating to vilify Putin. Moscow has been forthrightly candid all along – explaining its obligation to supply Syria with contractually agreed on weapons, the only nation providing humanitarian aid along with UN efforts. The Office for the Coordination of Humanitarian Affairs (OCHA) said over 12 million Syrians need help, larger numbers daily, desperate people enduring deplorable conditions and treatment, Obama’s proxy war using IS and other takfiri terrorist foot soldiers fully responsible. 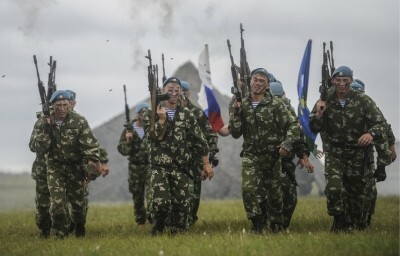 Spurious reports claiming Russian military involvement lack credibility. Alleged evidence is fabricated. On September 14, Foreign Policy (FP) cited satellite images it said showed its “military presence in Syria” – based on construction seen at Latakia, Syria’s Bassel al Assad International Airport, no different from similar activities worldwide. Russian air flights delivering military and humanitarian aid arrive daily. Moscow openly confirms it. It’s forthright about its relationship with Assad’s government – unlike Washington’s duplicitous agenda to topple it, no matter the cost in human life and misery. FP claiming images “confirm the presence of Russian combat forces fighting in Syrian” is propaganda rubbish, typical of what passes for journalism in America, substituting misinformation and bald faced lies for verifiable hard truths. Alleged “Russian aggression” in Ukraine was long ago totally discredited, even though it’s still repeated. Now it’s Syria. Expect continued irresponsible bashing ahead. (T)he surprising Russian escalation…to send in jets…is the clearest indication Moscow is preparing to use military might to help Mr. Assad as he clings to power. The direct involvement of Russian forces in the Syrian civil war on behalf of Mr. Assad would mark a new twist that could put American pilots, who regularly fly surveillance flights and airstrike missions, in substantially greater danger. Fact: No evidence shows Russian warplanes in Syria. Regular cargo flights arrive daily delivering vital supplies. Fact: Pentagon reports are notoriously fabricated – all propaganda all the time. Fact: Russia forthrightly respects the sovereignty of all nations. Syrians alone have the right to decide who’ll lead them, not foreign powers. They overwhelmingly support Assad. He clearly said earlier he’ll retain his leadership position only as long as Syrians want him. Otherwise, he’d step down. His daily burden is far more than ordinary people could handle. He continues going all out to defend Syria for Syrians. He deserve praise, not rebuke, for his efforts. Fact: Russian aid is to help him defeat ISIS and other takfiri terrorists, a scourge wherever they’re deployed. Fact: US surveillance and combat flights aid these elements, destroy Syrian infrastructure, provide intelligence to death squads murdering civilians, using drones to target Syrian military forces. Disinformation repeated often enough getting most people to believe it is its greatest ally – the bigger the lie, the more likely. Putin spokesman Dmitry Peskov said earlier and as recently as Friday, no Russian military forces operate in Syria – nor are combat missions being flown. At the same time, if Damascus requests Russia’s military involvement, “it would be discussed and considered. So far it’s hard to hypothesize,” he explained. If the need arises, Syria would not hesitate to request this of Russia. At the moment, there are no Russian troops in Syria. Most of all, Moallem and Assad welcome efforts made to resolve things diplomatically. Russia’s best previous attempts failed because Washington undermined them. Moscow and Syria want peace and stability. Obama wants war. Nothing indicates a change of policy – replacing Assad with a pro-Western stooge, no matter how much more mass slaughter, destruction and greater human floods it takes.